This primer for municipalities is the first of a two-part series on flood and drought mitigation. The first part – Municipal Flood and Drought Action Planning Primer – is the starting point for municipalities to consider the mitigation process. The Miistakis Institute is planning to create a followup to the primer – a step-by-step guide for developing mitigation plans. 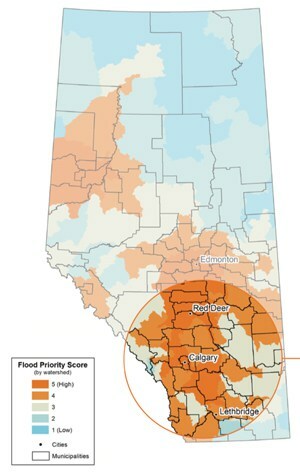 For all municipalities in Alberta, the Action Planning Primer reviews the risk for both floods and droughts. Risk maps are a first step in mitigation planning: How likely is a drought or flood for my municipality? Finally, the primer includes data sources and resources available to municipalities. Download the complete primer from the Miistakis Institute.